The Swedish decision support provider QlikTech has developed a version of QlikView iPad. Among the users are a Dutch customer who has supplied 150 offices with Apple’s tablet PC. QlikTech has recently invested heavily in developing mobile versions of the decision support tool QlikView. 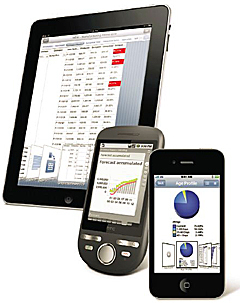 – We tailor Qlikview for iPad, iPhone and Android. One can of course also run regular QlikView AJAX client in the browser on them, “says marketing manager Jennifer Ehle QlikTech. She says that many Swedish customers running pilots of mobile clients, mainly on the iPhone, and that interest is also great from the outside world. The latest example is the Dutch mortgage lender, the Hypotheekshop as equipped sellers of 150 offices with Apple iPad. With them will Qlikview enhance sales and improve customer service. Among the advantages of QlikView brings out is that Ipadversionen of Qlikview has features to analyze business data directly with customers. Since the iPad has built-in GPS, you can, for example to obtain local information about the inventory data to customers within a specific geographic area. Qlikview HD will initially be designed for the multi-touch interface that is available in Apple’s tablet PC where you can both tap, pinch and drag to select data points. 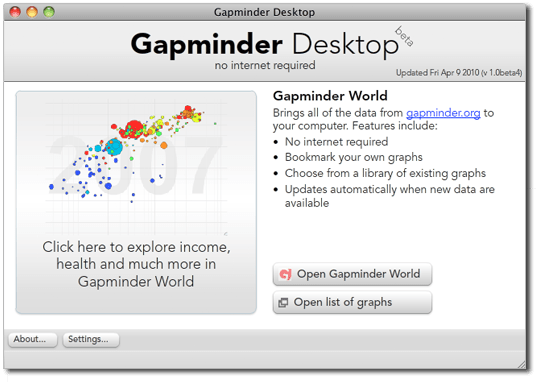 Now you can use Gapminder World – with all its indicators – from your own computer, even when you have no Internet. 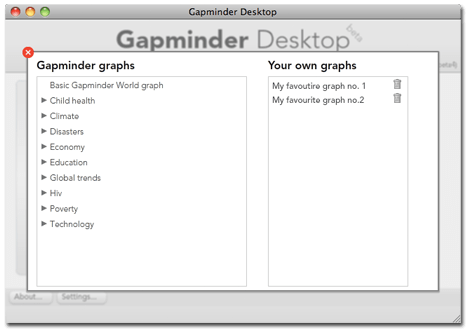 Just download and install the new Gapminder Desktop (from Gapminder News). NCVA has developed an open “GAV eXplorer Statistics” Open eXplorer or a generic platform with reduced functionality that can be used free by education or research organizations for none commercial use. 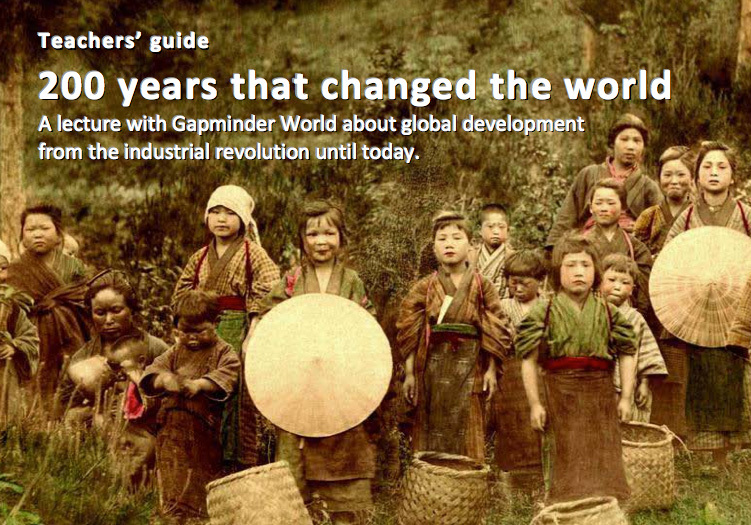 This version can easily by customized by an “eXplorer Wizard” application and eXplorer could become the common platform used by different education & research organizations increasing the integration and exchange of information. Open eXplorer can be requested from NCVA (see names below). The complete GAV Flash eXplorer statistics version is available under a license agreement by NCVA.